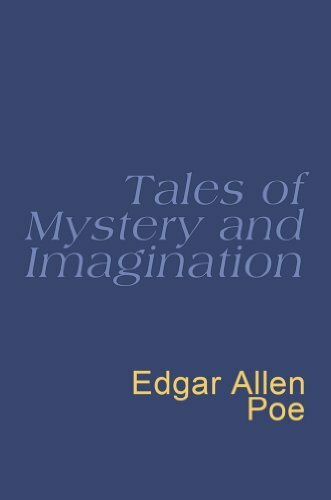 Award-winning fantasy illustrator Gary Kelley writes, "I have selected three of Edgar Allan Poe's best short stories.... I chose 'The Fall of the House of Usher' for its classic Gothic images and its dark, melancholic central characters, including the house itself. 'The Black Cat' is ... appealing to me for its use of mystery and foreboding that takes us to a horrifying climax. 'The Cask of Amontillado' ... my personal favorite, [is] a simple narrative of revenge set in the contrasting worlds of carnival and catacomb." Click on the book's cover for a closer look, but the reproduction doesn't really do justice to the richness of color in Kelley's shadowy, atmospheric paintings. (The cat's eye is green, and its tongue is pink.) 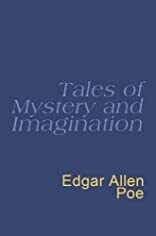 This gorgeous edition has 20 full- and double-page paintings, including a melancholy portrait of Poe; each page of text is surrounded by subtle decorative frames. The images of Roderick and Madeleine Usher are especially effective.